As a safety precaution - always use in a zipper pouch for safety and NEVER with direct contact. Act as a barrier between user and pad. Use as a safety precaution by not allowing the user to lay directly on either pad. 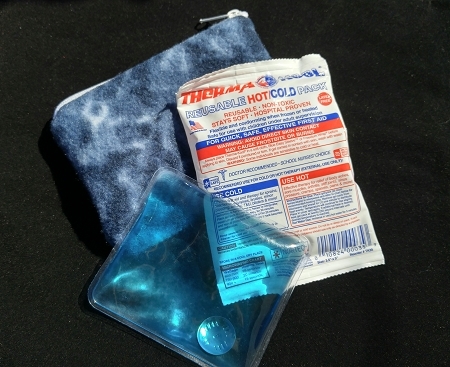 A Click to reuse heating pad. Cool down to a doctor prescribed cold pack temperature of 32 degrees. Heat lasts 15 - 45 minutes, depending upon use. Completely Non-Toxic. Latex Free. Sodium Acetate solution, aka "Hot Ice." Squeeze the metal disk/coin located inside the heat pad until you hear it Click! The liquid sodium acetate solution will begin to crystallize and heat up. 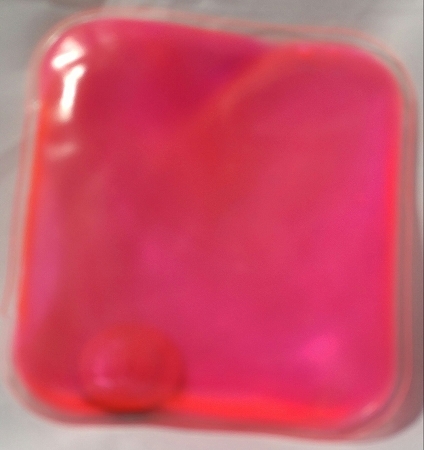 To speed up crystallization, simply shake the reusable heat pad until it is completely crystallized. Massage the heat pad to make it soft and pliable. When the heat pad cools down, it will become solid and hard. Place the pad in the refrigerator. 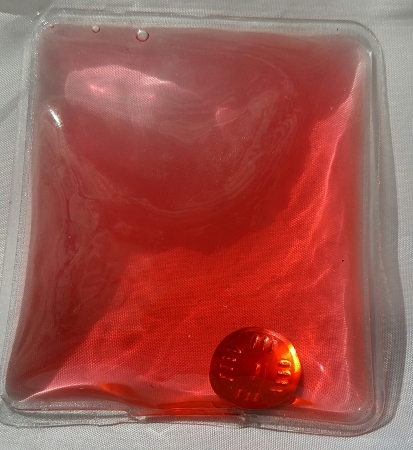 The cool pad can be used in the liquid form and will be almost like a gel. 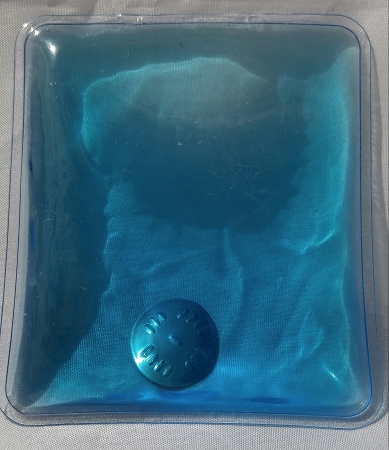 NOTE: You can place the cooling pad in the freezer for a short time if you would like the temperature to drop near freezing, however if left too long to freeze it will cause the disk/coin to "click", which will make the pack go hot and then cool to a solid form. In a solid form, it will not keep cool for very long. Place the heat pad into a not stick pot of boiling water to melt the crystals back into it's liquid form, could take 3 - 15 minutes. If you do not have a non stick pan, place a dish cloth on the bottom of the pot to prevent the pad from possibly sticking. 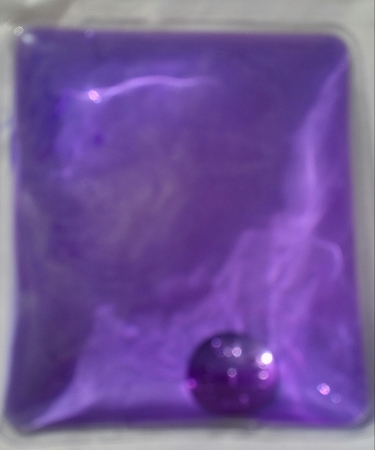 NOTE: If the crystals are not completely melted, it will re-crystallize and the crystals will seem sharp, this means it was not boiled long enough and will need to be boiled once again. 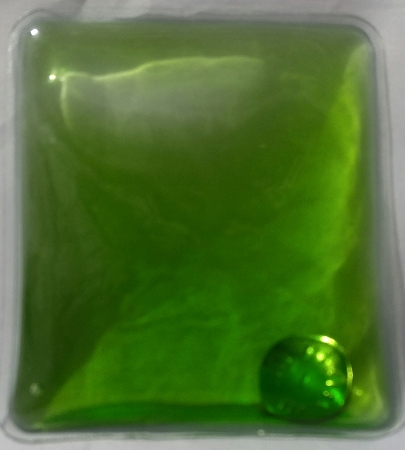 All pads are shipped in a liquid form, if the pad has arrived in a solid form, please follow the instructions TO REUSE.